There are as many opinions about Elon Musk as there are facets to his personality. Is he the introverted genius unfairly bullied at Waterkloof House Preparatory School? The pedantic snob pointing out chalkboard errors at the University of Pennsylvania? Certainly he is the ‘American Dream’ embodied. As the boy who began with a $500 Blastar video game and has since developed his own Silicon Valley company, Musk has rocketed to levels of success few people even dream of. Elon Musk can be considered a man with no sense of balance. Born in South Africa and educated in Canada, Musk is an American citizen famous for ventures like PayPal, Zip2, SpaceX, Tesla Motors and Solar City. His net worth as of January 2015 is a reported $11.7 billion. The only things which outstrip his wallet are his dreams: reusable rockets, Mars colonies, electric automobiles, and renewable solar power. He is a man who has thrown off all constraints, be they NASA regulations or former wives. Behind each of his companies is an army of Special Forces engineers often expected to make the same sacrifices. The Musk rocket ship launched in 1999, when Elon and his brother Kimbal sold their Zip2 web software company for $307 million in cash and $34 million in stock options. Musk made $22 million and promptly got to work on X.com, later renamed PayPal, and sold to Google in 2002 for $1.5 billion in stock. Today, Musk, ever the entrepreneur, spends his time pondering the exosphere and creating lithium-ion batteries. Sustainable development remains at the core of his various pet projects, like the SpaceX Falcon 9 reusable rocket or the subsonic Hyperloop train. Musk’s sustainability efforts have inspired other CEOs and tech developers, and each year we see more and more companies exploring clean energy options (see this website for more information). At the age of 12, when Musk began teaching himself computer programming, his aspirations were much smaller. “I wanted to make money,” he admits, “so I could buy a better computer to play better video games. Nothing like saving the world.” As his knowledge and bank account grew, so too did his environmentalist ambitions. “The future of humanity is going to bifurcate in two directions,” says Musk. “Either it’s going to become multi-planetary, or it’s going to remain confined to one planet and eventually there’s going to be an extinction event.” Possibilities include Iranian nukes, engineered viruses or a wayward asteroid, he suggested. After co-founding SpaceX Exploration Technologies, Musk and his team have reduced the costs of resupply missions to the International Space Station by almost 90 percent. Inspired by Isaac Asimov, Musk hopes that SpaceX rockets will one day carry a million colonizers to Mars. Much is to be done beforehand, since the planet is currently a cold, misshapen red rock slathered in carbon dioxide. Musk’s life is its own Jules Verne novel. He is the CEO of Tesla Motors, once a company with more wall posters than income, now the sexiest auto maker in America. The Model S, awarded the highest possible safety ratings from the NHTSA, is the national figurehead electric car with a driving range of 265 miles. Next up is the hallowed Model X SUV. “The biggest problem we have at Tesla,” said Musk in November 2014, “is meeting production demands.” Others would argue that the biggest problems at a Musk company are the 80-hour workweeks and brusque management. But Tesla is more than good business. In early 2014, Musk unlocked the vault on Tesla patents, distributing the coveted technology like a Sunday offering plate. This is the same man who doesn’t think much of flying cars, artificial intelligence, or seaside retirements, a man who believes in green. Even though electric vehicle market penetration in America is less than two percent, Musk believes that EVs are the way of the future. Already, in Norway, EV’s claim 15 percent penetration. 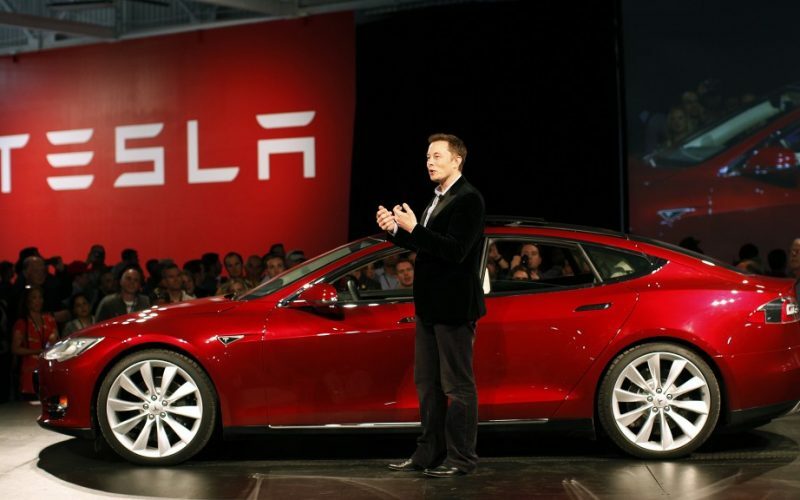 Musk hopes to jumpstart American acceptance through Tesla’s Gigafactory. Combined with SolarCity technology, Tesla Motors may make solar energy the cheapest source of residential power in the United States. Musk might not be around to see it, however. The reason? Well, he’s publicly stated that he would like to retire on Mars. Yup. Dreaming big has never looked so colossal. Beth Kelly is a freelance blogger and writer based in Chicago, IL. With a lifelong passion for both science and literature, she holds a degree in Communications and Media from DePaul University. In her free time she loves training for triathlons and shooting film photography.